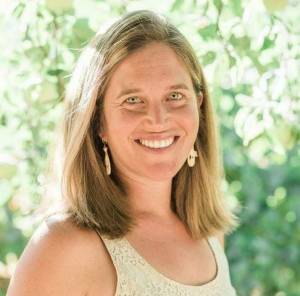 GRASS Valley, Calif. October 16, 2018 – Anya Stanger, PhD, will be the guest speaker at the American Association of University Women (AAUW) Nevada County Branch’s meeting on October 20th, 9:30 am at Peace Lutheran Church. Exploring the topic of “Activism and Identity: Who We Are Matters,” Dr. Stanger will share her research into how the impact of one’s actions is a gendered experience and one that is shaped by race, class and status in the community. With a particular interest in non-violent peace activism and how the experience differs for men and women, Dr. Stanger’s interactive talk will focus on the work her audience members do, the world they want, and some things to keep in mind as they work to get there. A professor of Sociology and Women’s Studies at Sierra College, Dr. Stanger grew up in Nevada County, earned her bachelor’s degree in Peace and Conflict Studies at UC Berkeley; her master’s degree in gender studies from London School of Economics; and her PhD at Syracuse University, New York. Free and open to everyone, the meeting will be held at Peace Lutheran Church, 828 West Main Street, Grass Valley, on Saturday, October 20th, from 9:30 – 11:30 am (program begins at 10:00 am). AAUW membership is open to individuals with an associate, baccalaureate or higher degree from a qualified educational institution. For individuals interested in participating in branch interest groups and other activities, but who have not had the opportunity to complete a degree, the Nevada County Branch offers “Friends of AAUW” membership. For more than 75 years, the AAUW Nevada County Branch has been striving to advance equity for women and girls through advocacy, education, philanthropy, and research. For more information: https://nevadacounty-ca.aauw.net or call 530-470-9395.